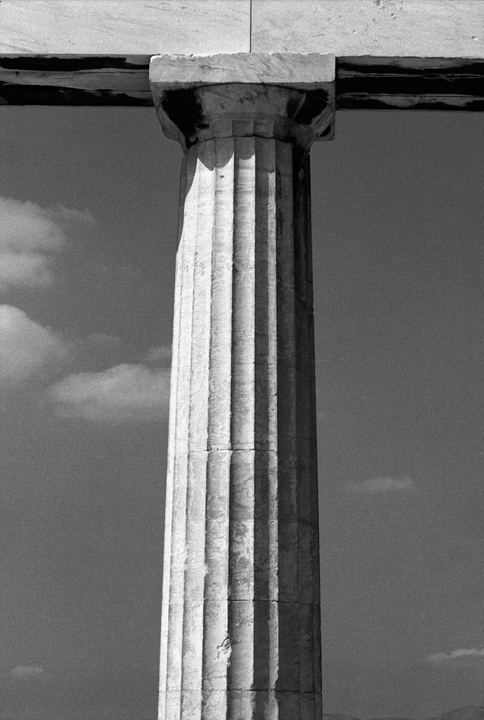 Le Corbusier in his book “Towards an Architecture” (1923) is fascinated by the small details Of the Parthenon’s Doric Columns. Notice the fundamental difference between the tow designs approaches…. 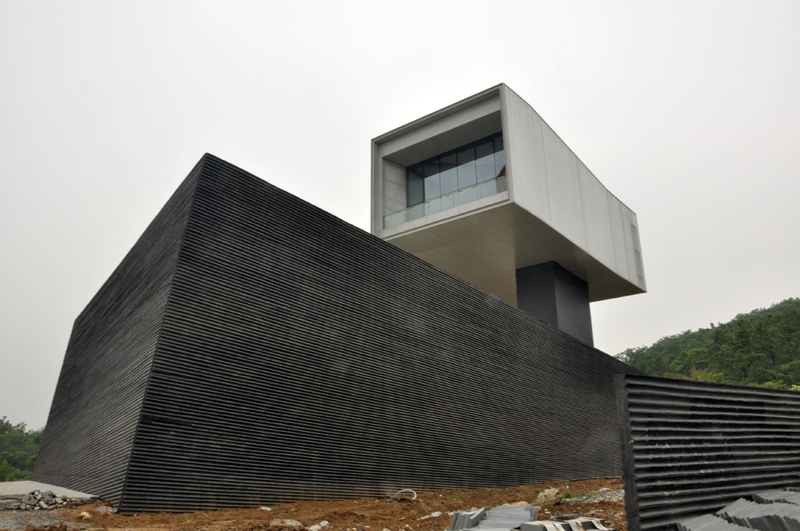 The slots In the Doric Columns are vertical … and in Steven Holl’s Nanjing Museum of Art , shown in the next image …. are Horizontal…. 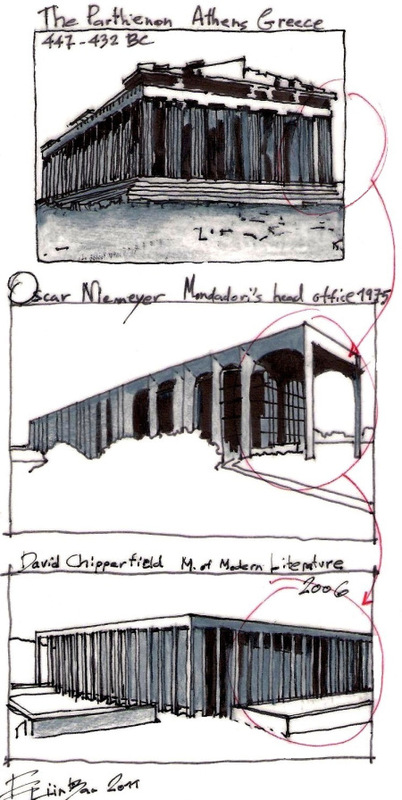 This is a typical case of “Conscious Inspiration” ……..
Steven Holl chooses consciously to be inspired from the vertical Doric Columns’s slots …. But he implements the slots horizontally …. 1. 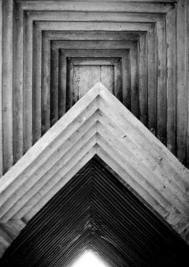 An architectural detail can be a “Source of Inspiration”. 2. 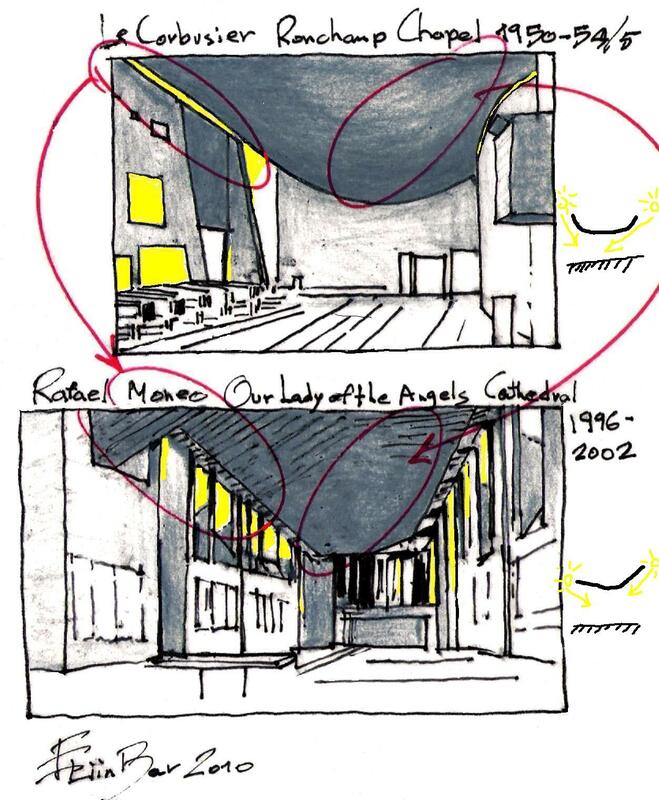 “Conscious inspiration” is also the ability to copy architectural details , and by one small change ….the detail gets a new architectural meaning =“Copy with Invention”…. Be inspired consciously from existing buildings, and you will experience a unique design process that willserve your creative desires…. 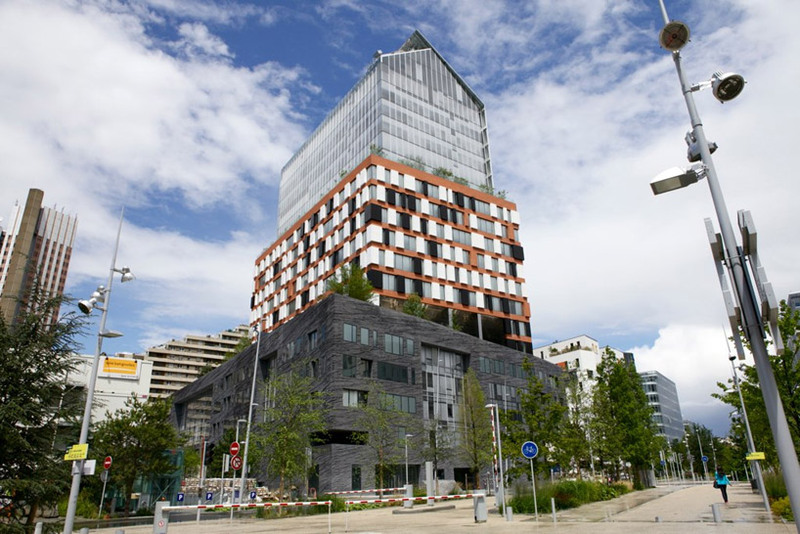 “Today’s architects are concerned from the geometric components of buildings surfaces. 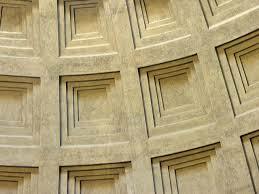 The great problems of the modern building age will be resolved by the “Geometry”. 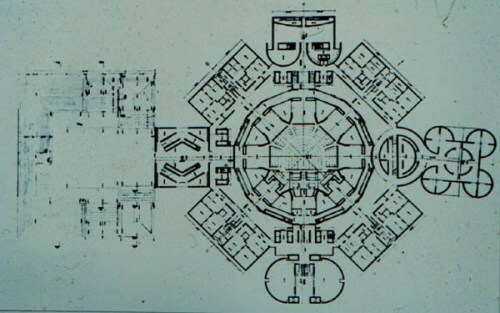 Is this building designed according to Le Corbusier’s “Geometry” strategy? 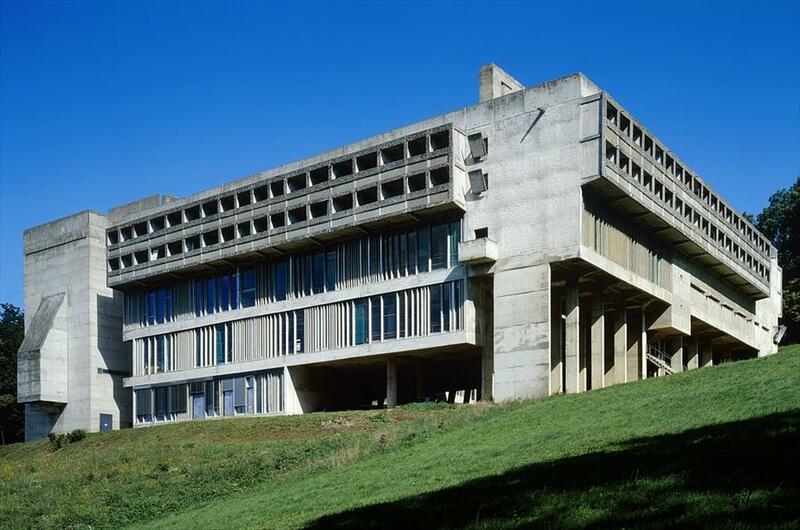 What is certain ….This building was and will be a source of inspiration for many generations of architects still to come…. 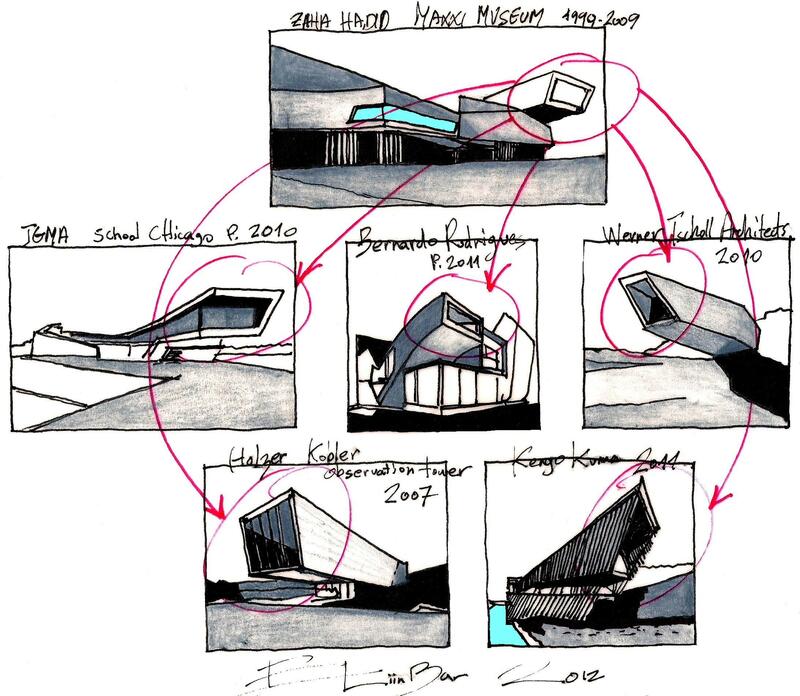 Who is the preferred choice for inspiration to architects today? 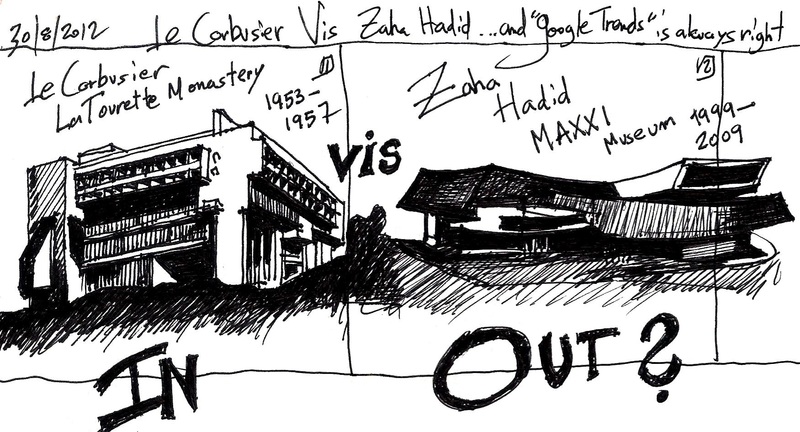 Zaha Hadid or Le Corbusier? The truth is hard to answer…. Google Trends is a” Tool” to compare the world’s interest in different topics. You can see how often the topics you are interested searched on Google over time. 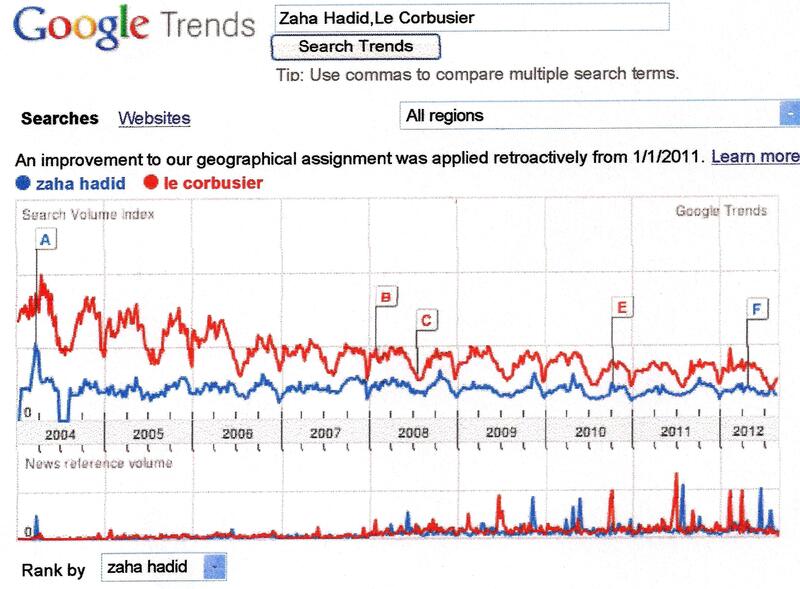 This is a “Google Trends” graph that compares the world’s interest in Zaha Hadid and Le Corbusier. 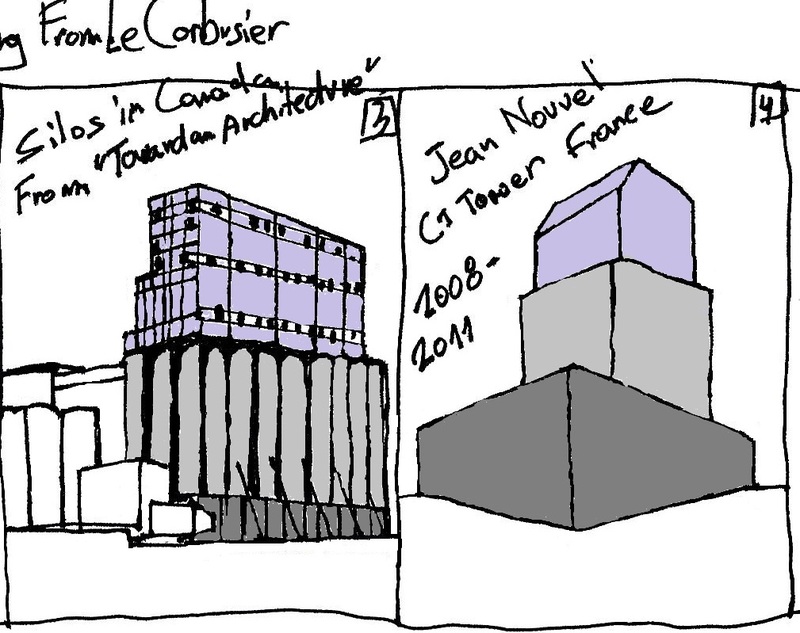 At least ….according to “Google Trends” Le Corbusier (in Red) takes it all…. 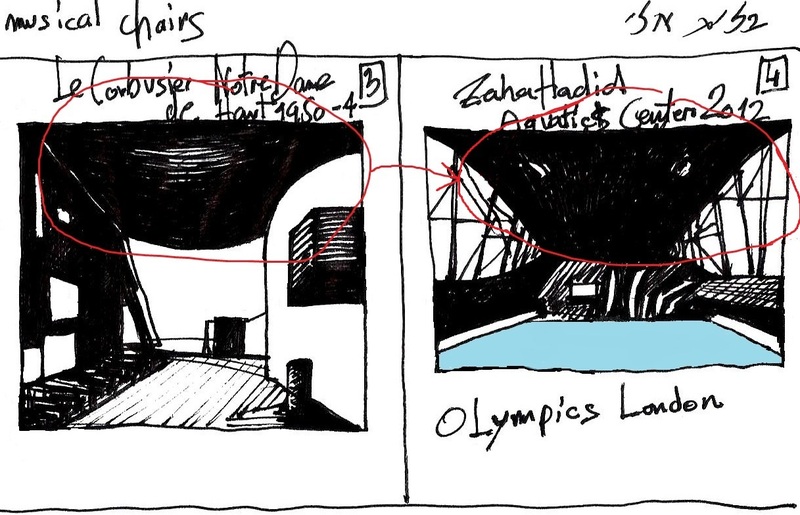 Zaha hadid and Le Corbusier ….Playing musical chairs…. 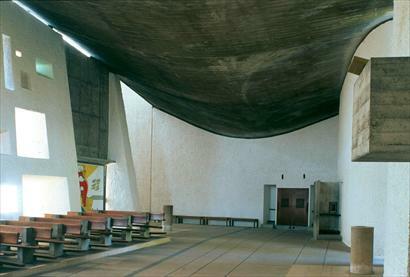 Twenty seven years later Le Corbusier designed Notre Dame du Haut chapel. 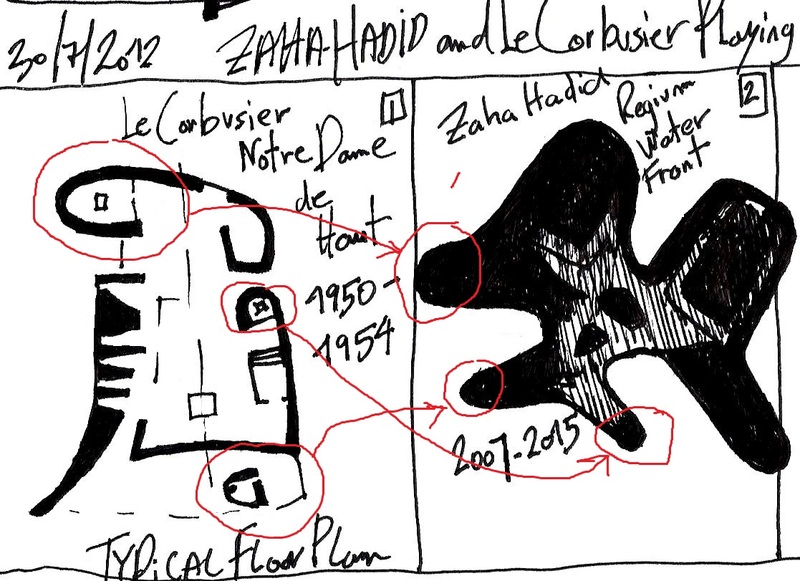 A Floor plan that is characterized by complex shapes ….a style identified today with Zaha Hadid’s Architecture…..
And this is a Zaha hadid’s typical floor plan … Note the morphological similarity to le Corbusier’s Notre Dame du Haut chapel floor plan. 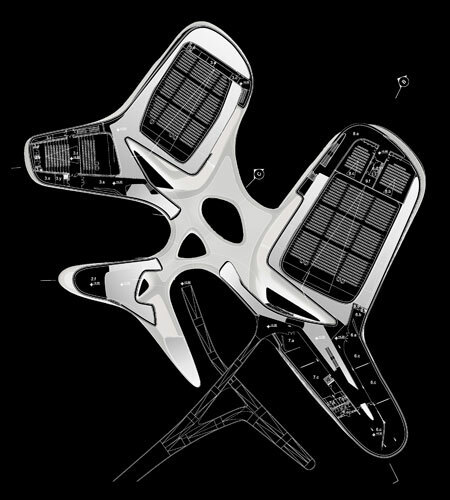 Notice the structural design of the roof was inspired by the engineering of airfoils. 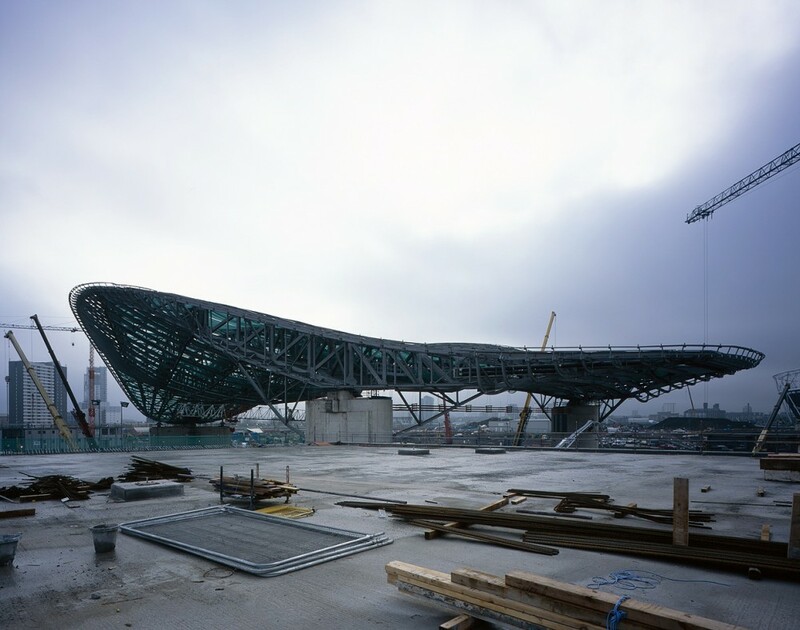 Notice the Aquatics Centre’s roof …It is supported by concrete columns that make it appear to float above the rest of the space. 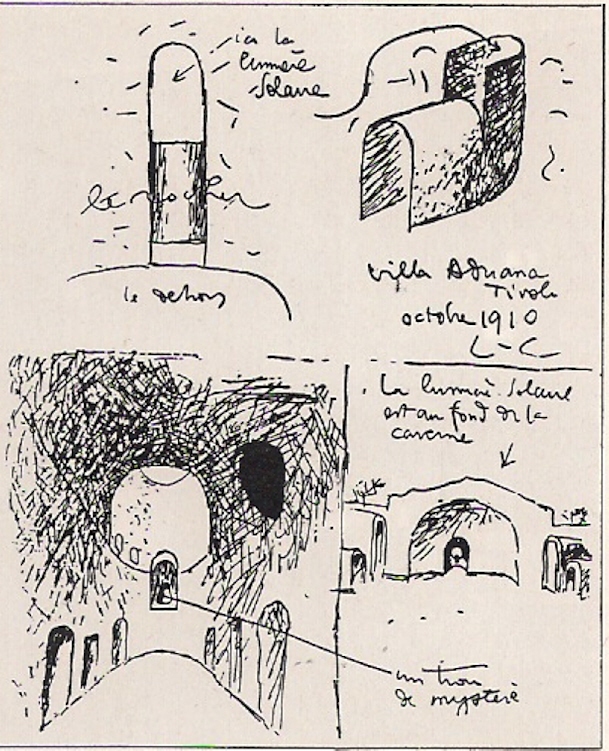 Villa Adriana was the Source of inspiration for le corbusier,when he designed the RonChamp Chapel in 1950. 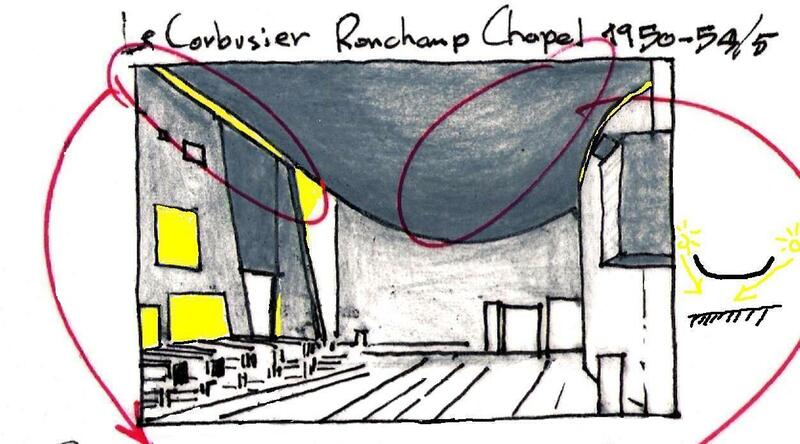 Probably Zaha Hadid’s inspiration source for the Aquatics Centre for 2012 Summer Olympics London , is Le Corbusier’s RonChamp ,Chapel roof. The principle is the same…. 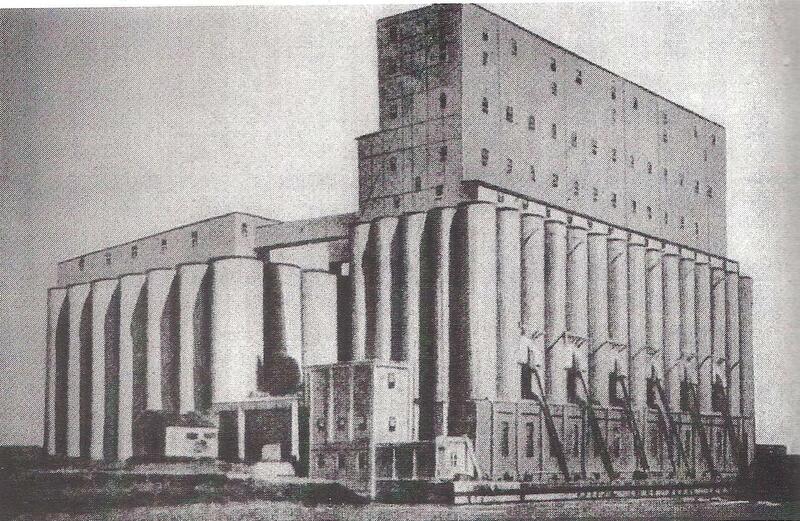 talented architects of all times are not intimidated to get inspired from relevant buildings. 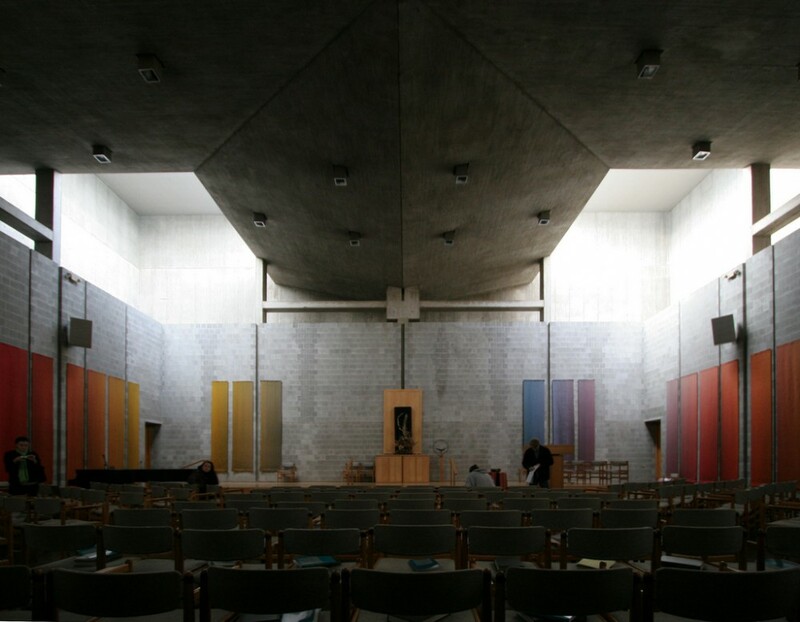 The next image is Louis Kahn’s First Unitarian Church roof designed and built 1959-1969, inspired from Le corbusier’s Ron Champ Chapel . 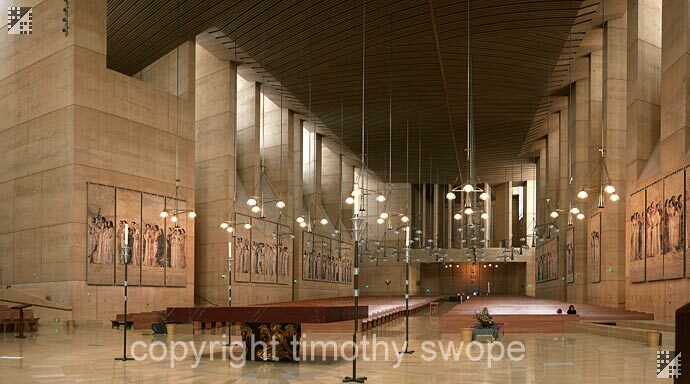 And this is Rafael Moneo’s “Our Lady of the Angels” Cathedral ,designed and built 1996-2002 , inspired from Le corbusier’s Ron Champ Chapel roof. 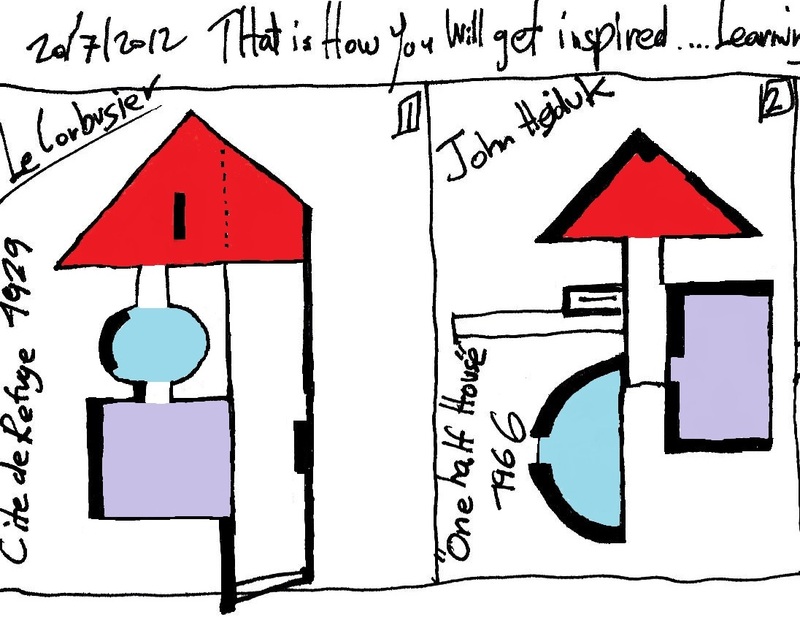 Learning from Zaha Hadid and Le Corbusier or how to Get “inspired Consciously” from Inspiring “floor plans”? There is an identity to the open spaces and closed areas. 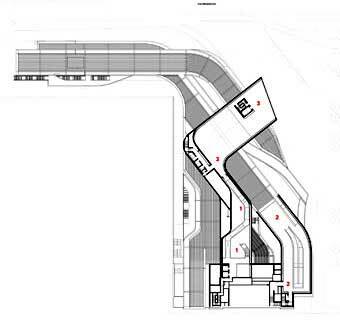 It is relatively easy to identify the use of spaces and the areas for transition from space to space. 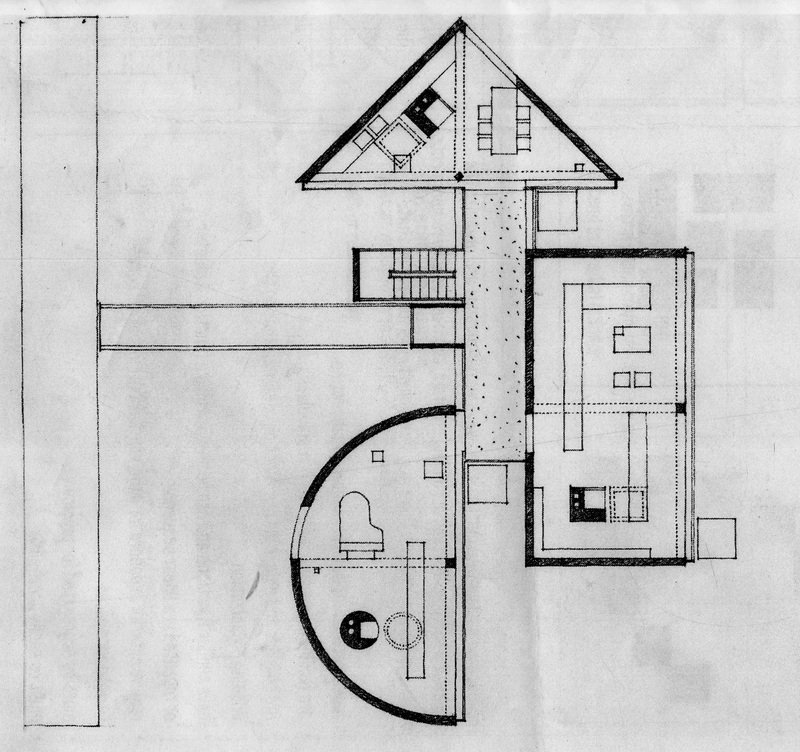 I believe there is a place for all the varieties of floor plans strategies…. 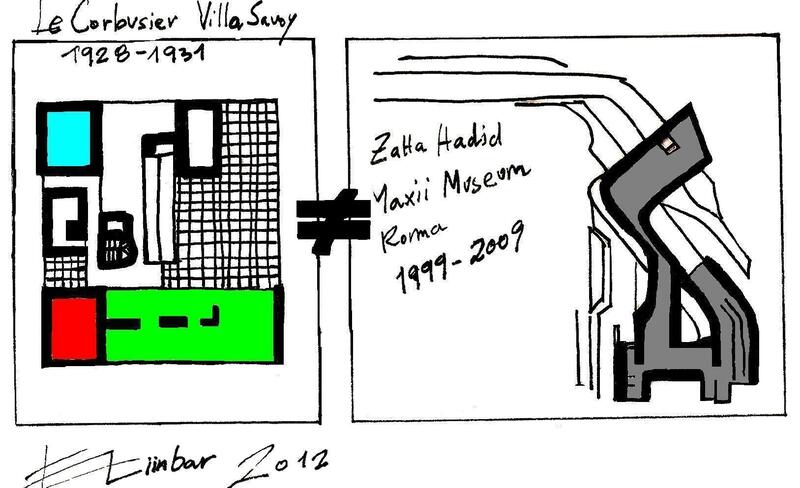 le Corbusier’s strategy , Zaha hadid’s Strategy or any other architects strategy you choose…. We must recognize as many planning strategies possible. This is our professional duty…. We are committed to improve our ability…. Second….we need to develop tools how to choose and apply the right strategy for us. In other words …. don’t be intimidated to get “inspired Consciously”…. and the focus is on “Consciously” there is no forgiveness for the “Copy Paste strategy“…. Get “inspired Consciously” from well known strategies that you sympathize with them…. 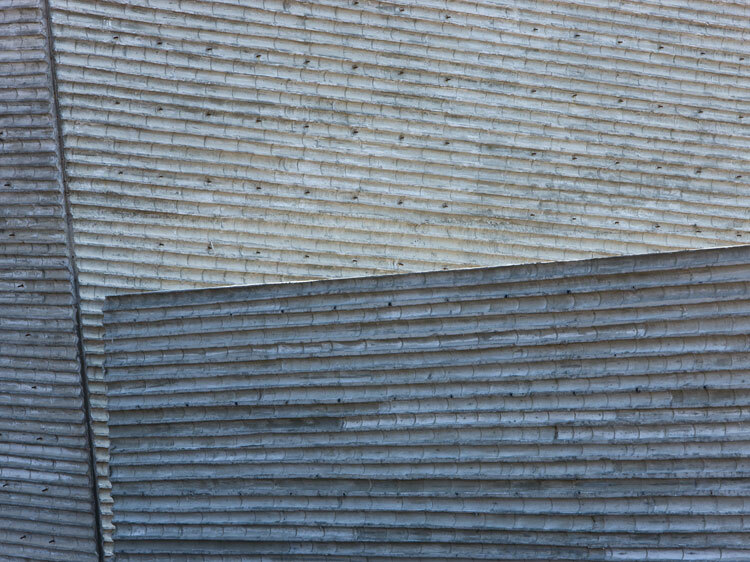 it is worth the effort ….Your buildings will be much more inviting…. 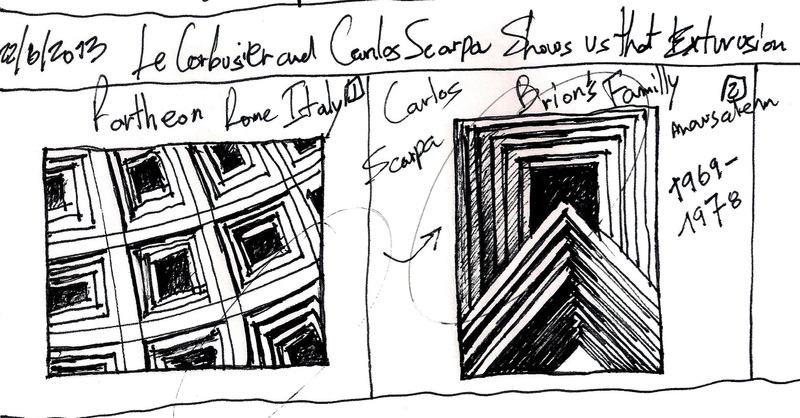 About “Architectural volumes” and “Preliminary shapes” …. 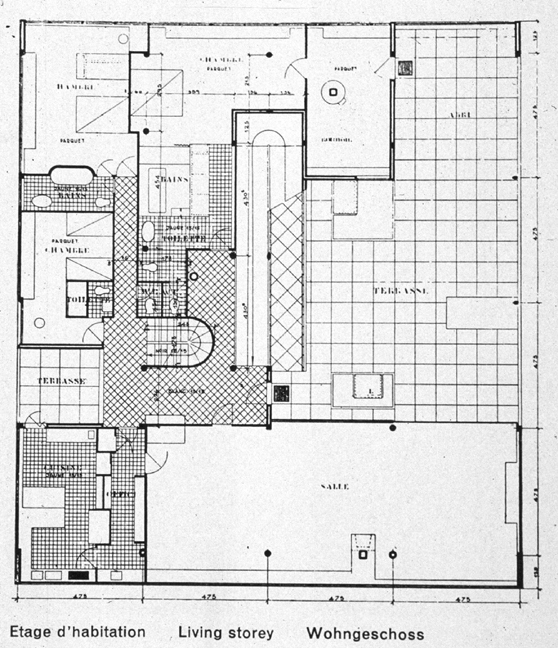 “Preliminary shapes” can be your inspiration and generate a planning process that enriches your floors plans design. 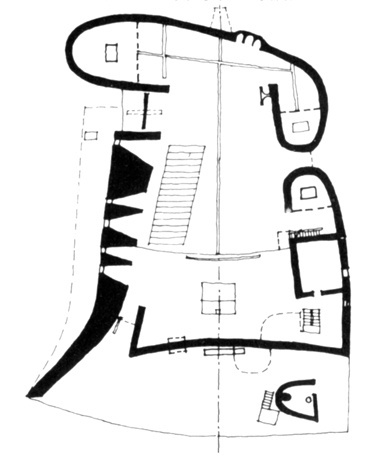 Is Le corbusier’s typical floor plan for the “cite the refuge” …….. Hejduk’s inspiration source? 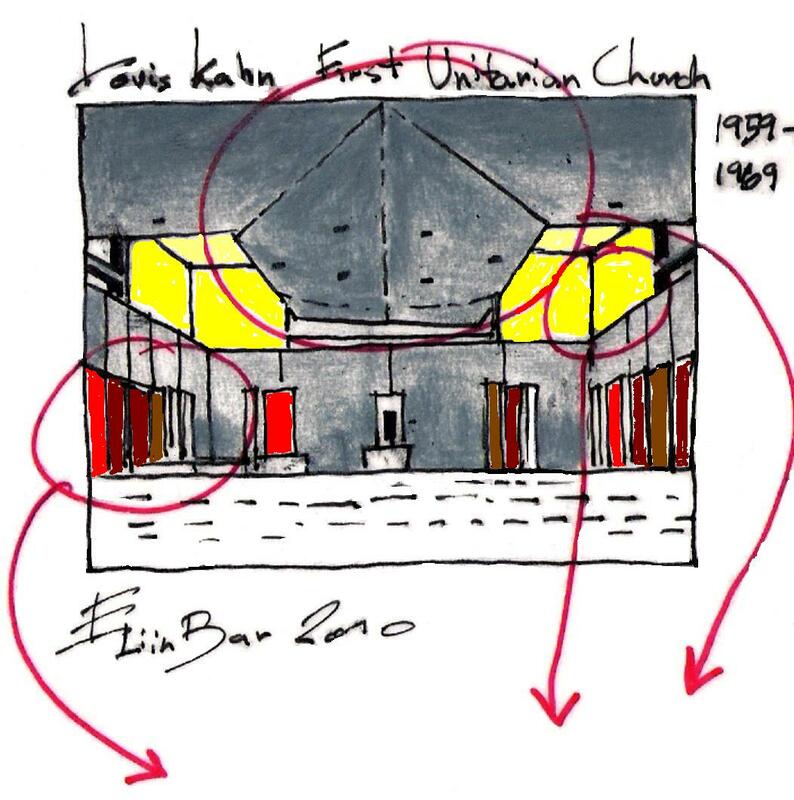 Hejduk is not the only one that implements in his floor plans design the “Preliminary shapes strategy” ….look at Louis kahn’s typical Floor plan….shown in the next image ….